Head-on car crashes are one of the most devastating types of car accident and often lead to severe injuries and even death for the drivers involved. Head-on car accidents happen when the front part of two vehicles crash into each other, usually on a road without a median. Another common type of head-on car collisions involves a motor vehicle colliding with a fixed-object such as a light pole or tree. If you or a loved one were injured in a head-on car accident, call us at (815) 289-3209 to discuss your case with a Rockford personal injury attorney. Traffic safety studies show that head-on car accidents usually happen on two-lane, rural roads. Another common cause of head-on accidents is when a driver turns the wrong way onto a one-way street and collides with another vehicle. Sometimes, poor construction-zone traffic redirecting can also lead to cars going the wrong way down the road. The negligent driver responsible for the crash will often be cited for violating this section of the law. However, it is important to note that the driver does not necessarily have to receive a traffic citation in order to hold them accountable for the accident and injuries. While only a small percentage of car accidents in Illinois are head-on collisions (about 2 percent), the consequences can be life changing. Injuries from a head-on collision can include head injuries like concussions or brain injuries, back injuries such as spinal cord injuries or disk herniations, neck injuries such as whiplash, fractured bones, and other types of catastrophic injuries. 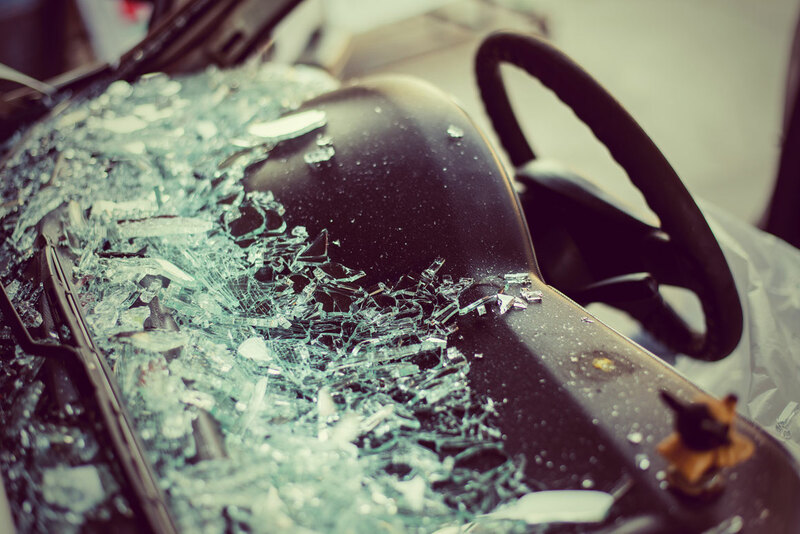 Injuries from a head-on crash can be significantly worse if a motorist was not wearing a seatbelt because of the forward momentum of the vehicle. Injuries from a head-on car accident are typically much more devastating than injuries from other types of auto accidents. Severe injuries mean individuals hurt in these types of accidents need to receive more extensive medical treatment. The medical bills can quickly pile up and time missed from work while recovering from the injuries adds to the financial strain an auto accident can cause. Financial compensation for your injuries can include payment of medical bills, lost wages for times missed at work, pain and suffering, disfigurement, disability, and loss of a normal life. At the Law Office of Adrian Murati, our Rockford personal injury law firm is dedicated to helping drivers who have been injured in auto accidents because of the negligence of another driver. Contact us at (815) 289-3209 for a free case evaluation with a Rockford personal injury attorney.